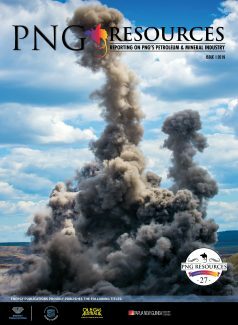 A CONSORTIUM of international oil and gas companies has launched legal proceedings against the PNG Government over the proposed cancellation of one of the country’s most high-profile petroleum licences. Discussions between PNG Petroleum Minister Dr Fabian Pok and members of the PDL-10 licensees including global Spanish energy company Repsol (Operator), PNG national oil company, Kumul Petroleum, Horizon Oil and Osaka Gas, have fallen through with regard to the Minister’s notices of intention to cancel Petroleum Development Licence 10, Pipeline Licence 10 and notice of termination of the Stanley Gas Agreement. Horizon Oil has revealed that the PDL-10 licensees and the Minister were unable to reach a resolution that did not compromise the PDL-10 licensees’ existing legal rights. “Repsol and Horizon Oil have formed the view, supported by independent legal advice, that each of the Purported Notices is without merit,” Horizon Oil reported on the ASX. 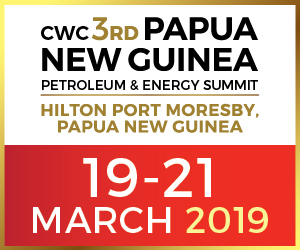 On 15 November 2018, Repsol and Horizon Oil issued to the State a notice of intention to refer the disputes arising from the Purported Notices to arbitration under the Stanley Gas Agreement, as required under the Claims By and Against the State Act 1996 (PNG). Horizon said a notice of arbitration will follow shortly. The notice will stay any action by the Minister to cancel the licenses until the arbitration has completed or the Purported Notices are otherwise withdrawn. Repsol and Horizon Oil intend to take further action to stay the purported termination of the Stanley Gas Agreement. “Horizon Oil, together with the other PDL 10 licensees, will continue to work with the Petroleum Minister and the Department of Petroleum and Energy to resolve the disputes affecting the good standing of PDL 10, PL 10 and the Stanley Gas Agreement,” Horizon Oil stated. PDL-10 is a key component of a range of proposed gas and condensate developments including the Western LNG project.